Terrace Nights is back for 2019, transforming the northern end of Bay View Terrace for a twilight street festival Thursday evenings. 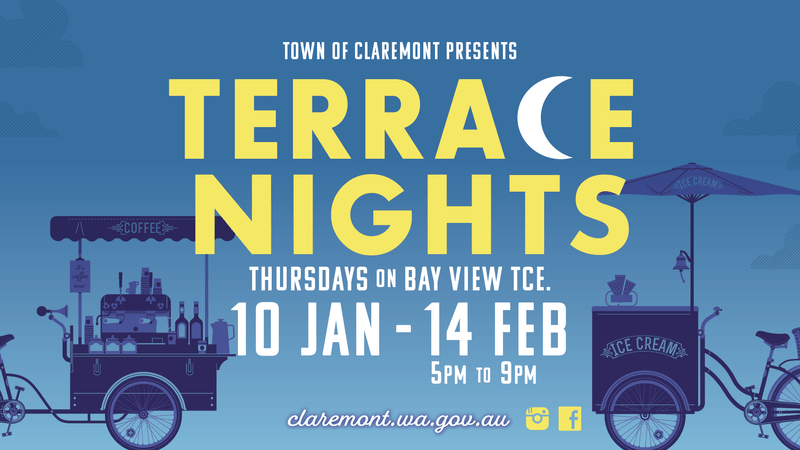 Join in the evening activities along the northern end of Bay View Terrace from 5pm each night with a free family entertainment, extended alfresco dining, live DJ, food trucks, buskers and a kids' corner. 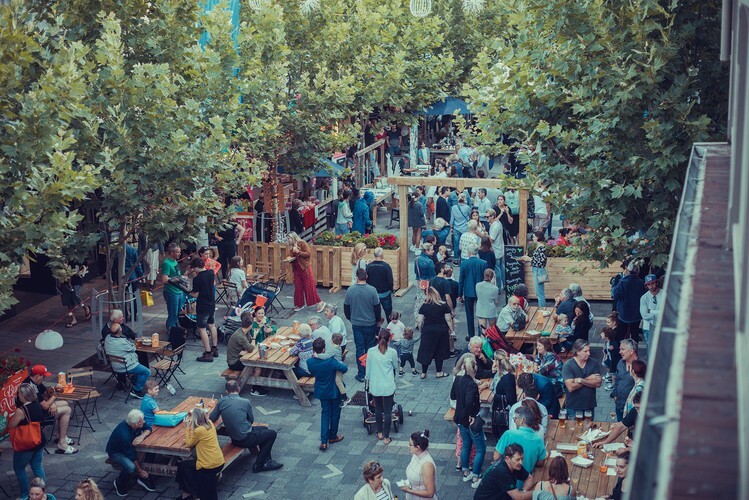 So come eat, shop, and enjoy the entertainment along Claremont’s Bay View Terrace from 5pm-9pm each Thursday 10 January to 14 February 2019. 24 January 2019 – Join us for our Australia Day themed evening with a sausage sizzle & face painting. 14 February 2019 – Bring your loved ones for a night of fun and romance on the Terrace.